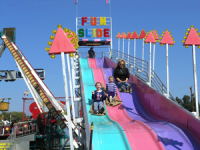 America’s only “railroad carnival,” the fabulous James E. Strates Shows is in Augusta at the Georgia-Carolina State Fair to provide fair goers with numerous spectacular thrill rides, as well as great “family rides” like the ones shown in these pictures taken on the midway. 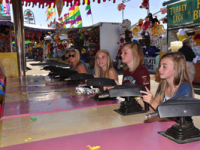 All the rides are extremely popular with folks of all ages. These clean, beautiful rides are constantly maintained by Strates Shows to provide fun in a safe environment. The Pavilion (inside the Fairgrounds near the Hale Street Gate) is a large building where there is always a lot going on. The Miss Fair Pageant is held in the Auditorium in the Pavillion on the first Saturday evening of the Fair. 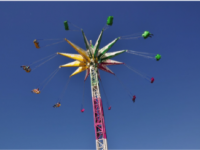 Youth and Young Adult Talent competitions are held on Saturday, and the Talent Finals are on the second Saturday of the Fair. Both of these events are enormously popular and well worth attending. Admission is free for Patrons. There are always other events going on. 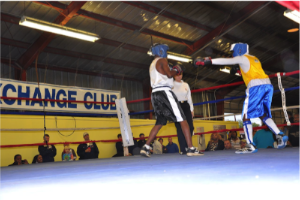 Boxing at the Fair will be held in the Pavilion. Bouts begin with the 8-year olds and continued up to 18-year olds. Rounds are short, so there were plenty of fights to see. There are great crowds, so you can see how big boxing has grown in Augusta. As in the past, this year the bouts will again be held in the Pavilion. However, they will be held beginning at 5:00 p.m. on Saturday, October 20. 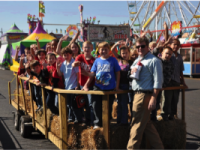 As a special treat to the elementary school students at schools around the area, the Georgia-Carolina State Fair hosted over 1,200 children for tours of the Fairgrounds in the mornings before the gates opened. 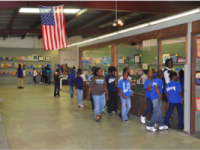 This gave them a chance to see cows, pigs, and goats up close; and they also got to see many of the exhibits such as art, photography, china painting, models, and youth crafts. 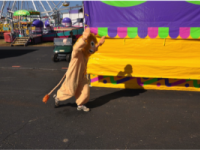 They were treated to a hay-ride around the Fairgrounds and had to watch out for the escaped lion. 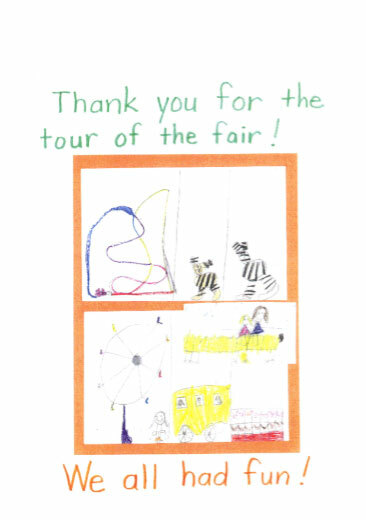 School kids, with the help of their teachers, sent messages to the Fair Office, thanking the Fair for hosting the kids. This is just one of many that the Fair received. 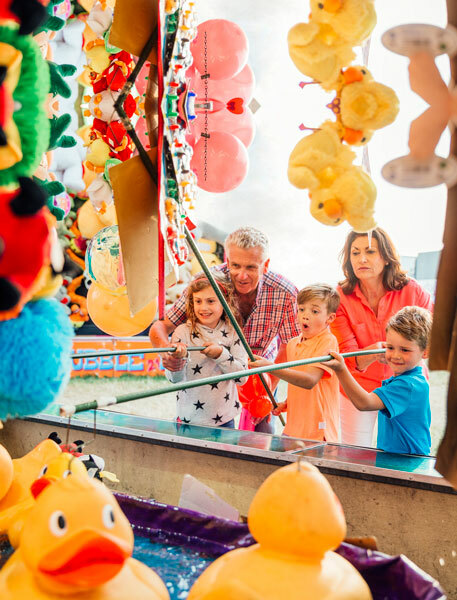 From the smiles on the faces of the kids in the pictures above, to the amazement of the parents of what all goes on behind the scenes at the Fair, everyone had fun; and it turned into a learning experience as well. Everyone became winners. 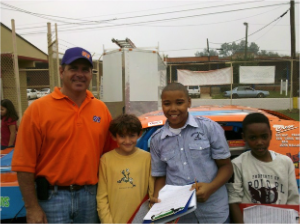 One lady wrote: “I was just so impressed with the guys who were running the hayride tours. They were funny and energetic and totally patient with the groups of crazy kiddos. 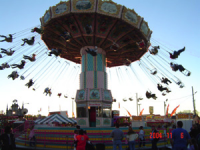 I actually learned a lot about the fair and the fairgrounds myself.